Black Friday Sale in Kennesaw, Ga. STARTING AT 10:00am FRIDAY, NOVEMBER 23rd!! 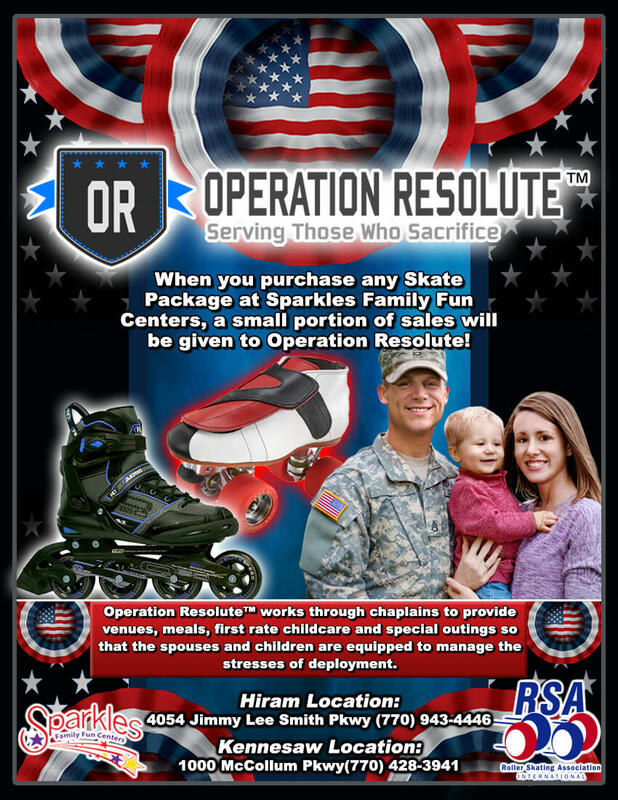 Buy ANY Skate Package & get the ENTIRE Cost Back in FREE SKATING Admission! Don’t miss this great opportunity this Black Friday. Gift card good for one year from purchase. $100 minimum purchase requirement. 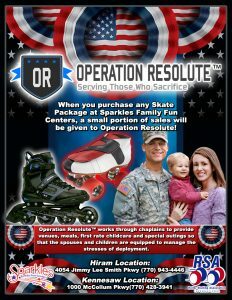 PLUS Sparkles gives back to our Military with a small portion of ALL skate sales donated to Operation Resolute!